I used -I param in command line but the included file includes other ice files too. then I specified the include path in ice.msbuilder extenion in vs2017 ,but still not to know how to work. 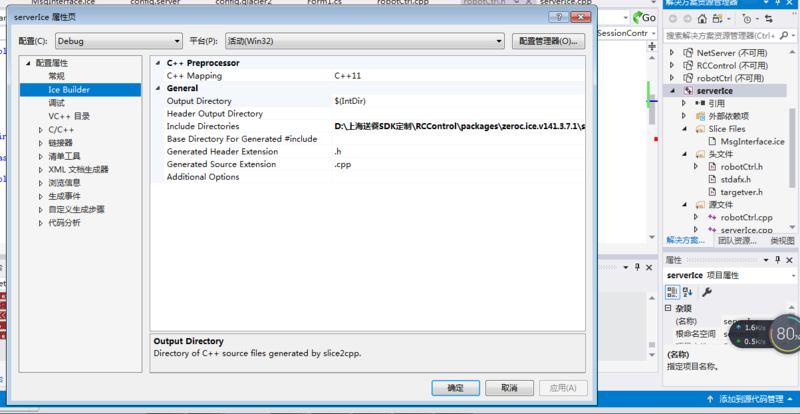 and I run in Nuget package manage command line with slice2cpp myfile.ice. but It still can not open include file. This seems related to the Chinese characters in your root path, I was able to reproduce the problem trying to build a project in D:\登录至服务器\hello but same project works fine when build in D:\hello\hello I'm still debugging the cause of this meanwhile you can rename the root directory to workaround the issue. I think the file has some character which belongs to doxygen make this.